Alto Black 10 2-Way Active Loudspeaker with Live Drive Wireless Control 1200 Watts (Continuous); 2400 Watts (Peak) The carefully matched components, abundant power, and onboard DSP allow the Black Series to be deployed in various configurations to provide immersive and rewarding sound in nearly any venue. 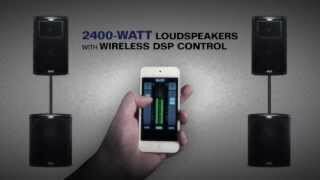 This DSP provides active control over the EQ response, test tones, dynamic levels, and protection to deliver a sound unattainable with traditional passive systems. 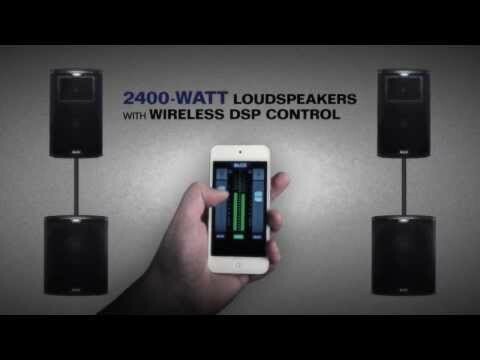 Wireless control via the wireless app allows each system to be optimized in place and on the fly—from a variety of listening positions—to create the best possible sound reinforcement experience. Each Black Series active loudspeaker was designed and tuned by the highly experienced Alto Professional audio team in the USA and field-tested in a variety of real- world applications. Custom-spec’d drivers and a 2400-Watt (peak) Class D amplifier combine to provide superior, reliable sound with plenty of headroom for an uncompromised performance. Black Series loudspeakers are available with a 10", 12," or 15" low-end driver, in the Black10, Black12, and Black15, respectively. Optimized to provide a 90o x 60o coverage field, each model also contains a 1.75" high-frequency driver and an extensively tested HF waveguide crafted to deliver maximum sonic impact. Considering purchasing the Alto Black 10? Have questions? Ask people who've recently bought one. Do you own the Alto Black 10? Why not write a review based on your experience with it. Seen a video for Alto Black 10 online or have you own video? Check out Alto Black 10 on DJkit.com!